small Dogwood cheese board and knife. From The Dogwood Collection. 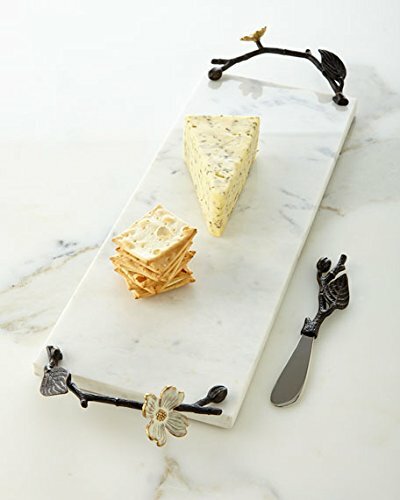 Marble cheese board with sculpted white enamel and natural- and oxidized-brass handles. Stainless steel knife with sculpted oxidized-brass handle. Board, 18.5"L x 5.75"W x 2.5"T. Knife, 7"L.